WASHINGTON (CN) – When it came time for Senator Richard Blumenthal to ask questions of U.S. District Court for the Eastern District of Louisiana nominee Wendy Vitter at her April confirmation hearing, the Connecticut Democrat began with a seemingly simple inquiry about one of the Supreme Court’s most well-known decisions. “Mrs. Vitter, do you believe that Brown v. Board of Education was correctly decided?” Blumenthal asked. 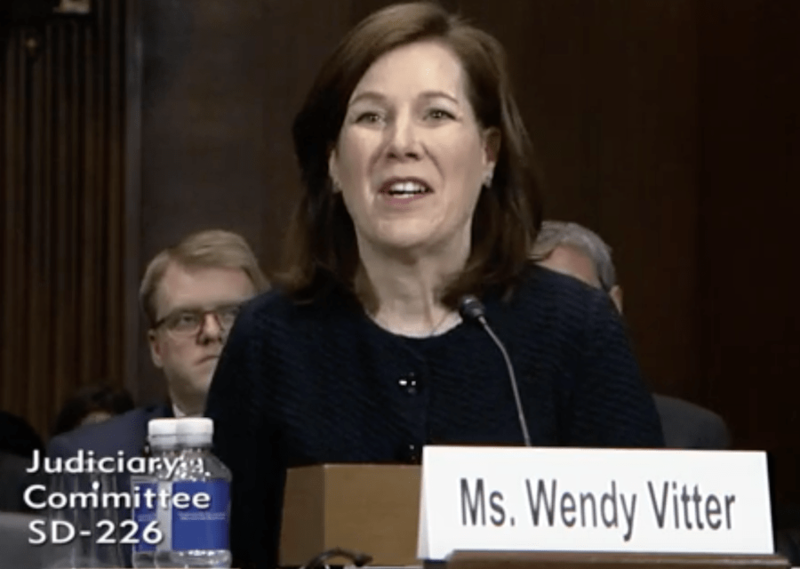 Nominated to serve as a federal judge in Louisiana, Wendy Vitter testified on April 11, 2018, before the Senate Judiciary Committee. Vitter works as general counsel for the Archdiocese of New Orleans. Vitter paused, then looked at Blumenthal as she answered. Blumenthal paused, then restated his question. Vitter’s response changed only slightly. 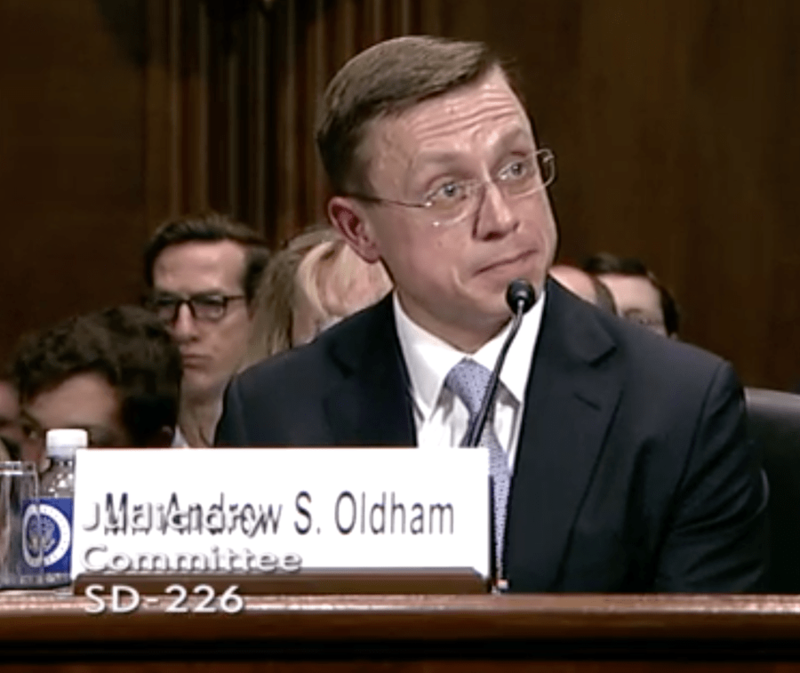 Fifth Circuit nominee Andrew Oldham testified before the Senate Judiciary Committee on April 25, 2018. Oldham serves as general counsel to Texas Gov. Gregg Abbott and previously worked as the deputy solicitor general in the state attorney general’s office. Two weeks later, Fifth Circuit nominee Andrew Oldham gave a very similar answer to the same questions from Blumenthal, saying the code governing the conduct of judicial nominees prohibited him from weighing in on the landmark decision that ended racial segregation in schools. “Senator, even the most universally accepted Supreme Court case is outside the bounds of a federal judge to comment on,” Oldham answered. Videos of Vitter and Oldham’s answers quickly circulated on social media, with civil rights groups arguing that the nominees’ refusal to comment on merits of the case should be disqualifying. The Senate Judiciary Committee advanced both nominees on Thursday, launching a broader debate about what judicial nominees can and should say during their nomination process. There are two related ethical provisions that support the nominees’ contention that they cannot comment on Supreme Court cases. As to whether there are limits to the public-comment prohibition, the source itself declined to comment. Only judges can request advisory opinions about the code, a representative for the conference said. But liberal groups and Democrats insist that the importance of Brown should free nominees to affirm its correctness without concern for spoiling their impartiality. Calling the Brown ruling a “well-established majority opinion,” Todd A. Cox, policy director at the NAACP Legal Defense and Educational Fund, said that Oldham and Vitter’s answers signaled an open season on other settled Supreme Court precedent. “I think they’re trying to signal, perhaps trying to signal, that these federal judges who are going to the bench are going to consider this historic case up for renegotiation as well as the legacy legal protections that float from it,” Cox said in an interview. Taking a more charitable view of the nominees’ silence, however, professor Charles Gardner Geyh from Indiana University’s Maurer School of Law said that weighing in only on settled cases still opens a bigger door. “Then they’re exposed if they have to talk about, well, what cases do you think are unsettled,” Geyh said. 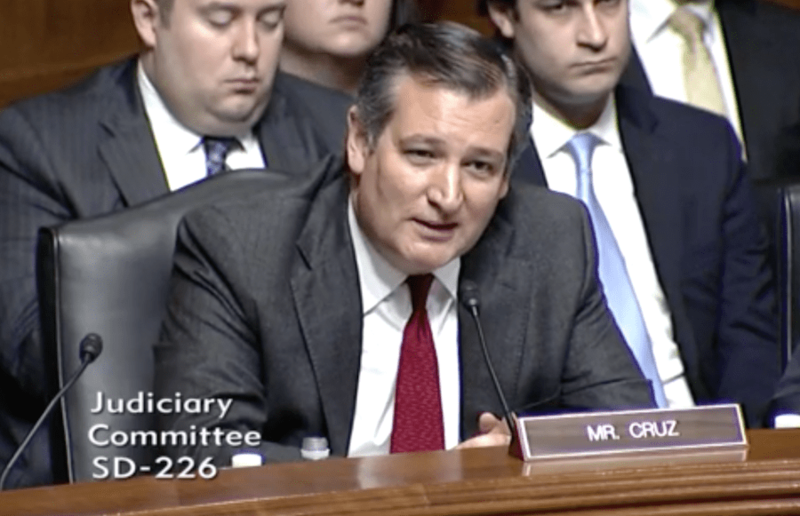 Senator Ted Cruz poses a question to Fifth Circuit nominee Andrew Oldham during an April 25, 2018, hearing of the Senate Judiciary Committee. Sen. Ted Cruz, R-Texas, called out Democrats last week for their focus on the Brown question. Recalling the failed Supreme Court nomination of Robert Bork in 1987, Geyh said Vitter and Oldham likely were thinking pragmatically about their nominations, not about renegotiating precedent, when they declined to unpack Brown. Back in 1987 the Senate rejected Reagan’s appointment of Bork after a brutal battle in which Bork was remarkably candid when discussing his ideology with lawmakers. Geyh said Bork’s rejection was a “high water mark” in the process because it was the first time the Senate rejected a nominee solely on ideological grounds. Marla Greenstein, the executive director of the Alaska Commission on Judicial Conduct, also supported the trend of nominees keeping quiet about precedent. Even with precedents to which no direct challenge is likely, Greenstein noted, future cases might touch on smaller legal principles in the decisions that are more disputed. Commenting on the correctness of a specific opinion would improperly prejudge a matter that might come up in court, she said in an email. More troublesome for Geyh, however, is the possibility of nominees using the ethical codes to parry questions they don’t want to answer. 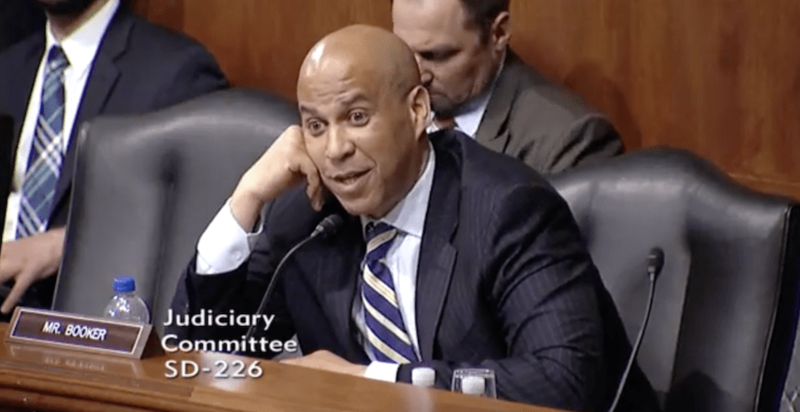 Exasperated by the Fifth Circuit nominee’s refusal to answer, Senator Cory Booker pressed Andrew Oldham about whether he thinks there is widespread voter fraud in the United States. Without the Senate taking a stand for more transparency, Geyh said, the nomination process will continue to be little more than a formality. One member of the Judiciary Committee who appears to have taken up that call is Senator John Kennedy. Himself a former law professor, Kennedy often attempts to drill deeply into nominees’ legal philosophy with more academic questions, such as asking a nominee how they would interpret a hypothetical statute. While Kennedy has said it is inappropriate to ask nominees about specific cases, he has also said he will not vote for any more nominees who refuse to stay in the box for his more general questions on their theories of the law.